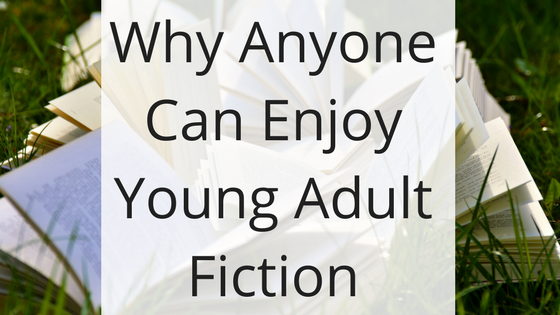 Young adult fiction is one of the few genres that specifies the age range it is targeted toward. Typically, people from mid-teens to early-20s are associated with the genre, and many novels are marketed toward women of this age. Yet, despite the clear indicator of who publishers think should read these books, many people outside of this age range read young adult novels. What exactly is it that makes these books so enticing to everyone? Another stereotyped genre is the romance category, which publishers tend to market to older women. Many (even most) young adult novels also contain romance as a large component of their story. Perhaps these older women are reliving their days as single women, searching for the right man to sweep them off their feet. Or, they find young romances endearing, the way you might think of a grandchild. Either way, romance is one component that causes young adult novels to appeal to older women. As I said previously, young adult novels are geared toward women primarily. There are still men who read these novels, though, and figuring out what pulls them in is a little harder. I think that men who read young adult are grouped into two categories: unhealthy male stereotype and men who want to express themselves. The unhealthy male stereotype man wants to read stories in which behaviors similar to his are considered acceptable. Think Twilight, where Edward watches Bella as she sleeps. In the novel, we’re supposed to think that is charming. In real life, that is stalking and grounds for a lawsuit. The unhealthy male is not confident in his masculinity, and tends to act out in ways that society does not accept, so he finds his solace in books. On the other hand, many men are fearful of expressing themselves, due to years of repression (usually from authority figures). Novels are where both women and men can be themselves, and men who want that in their lives may live vicariously through the characters. I think this is not male-exclusive, but if we did some research, I’m certain this is a huge component of why men read young adult novels. We all remember the kid from our class who would read books above everyone else’s reading level. Many kids begin to love young adult books in elementary school, as long as they can understand the content. Luckily for them, most of these books are written with simplistic language that most children can comprehend. Typically, the better the reader, the younger they will start reading more difficult books. This, along with idolizing teenagers, is likely one big contributor to why children read young adult. Although there are many other groups of people who read young adult fiction, these are just a few instances where you will find someone aside from a young adult female reading these books. I personally think it is fine to read whatever you are comfortable with, and if you don’t fit the marketing mold, it shouldn’t matter. Young adult fiction is heartwarming and fun, and enjoying that is something we can all relate to.